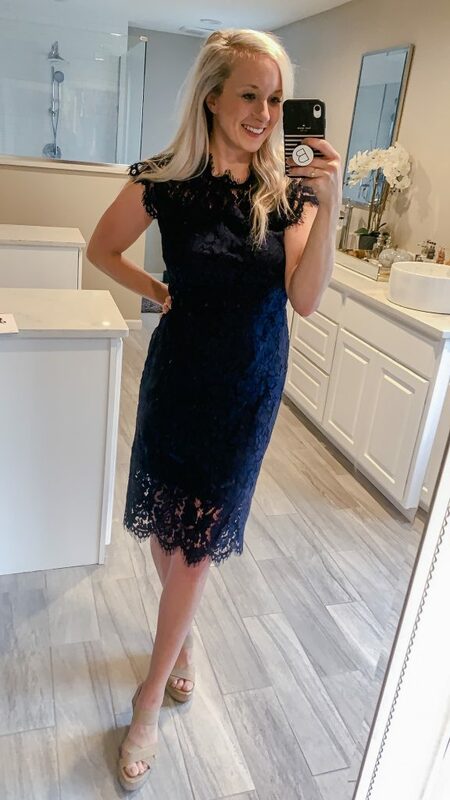 Amazon is killin’ it in the dress department, you can find anything from a casual dress to the perfect lace dress! This dress is so fun. I mean who doesn’t love a pop of color and polka dots!?! 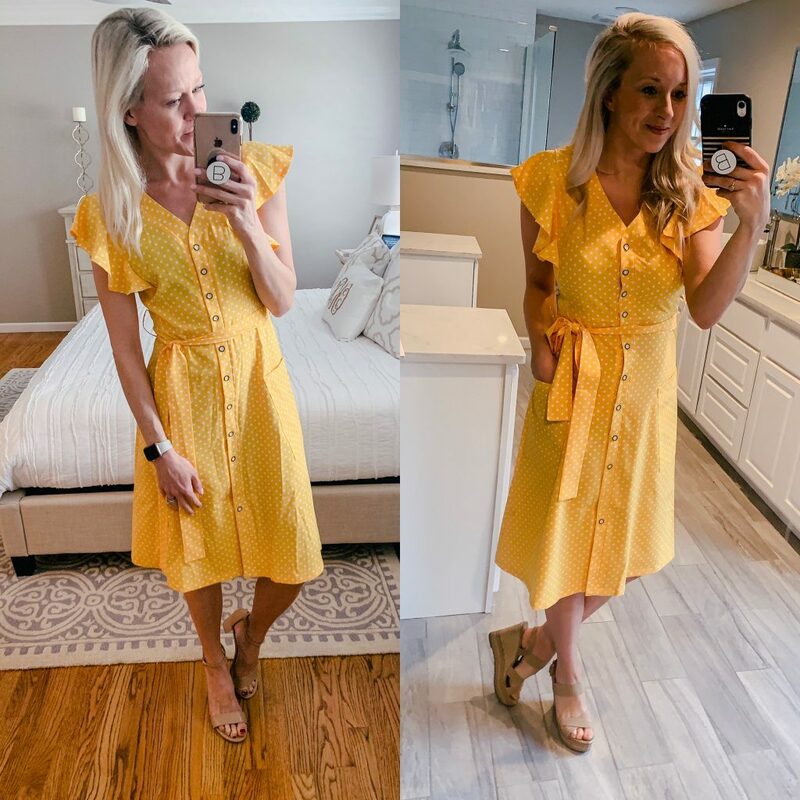 Perfect for brunch, Easter, or a spring/summer wedding. I am wearing a small in this and L would size up to a medium because it’s a tad tight in the chest. Plus its only $22. I paired mine with my fav sandals (under $40) and L pairs her with these wedges. 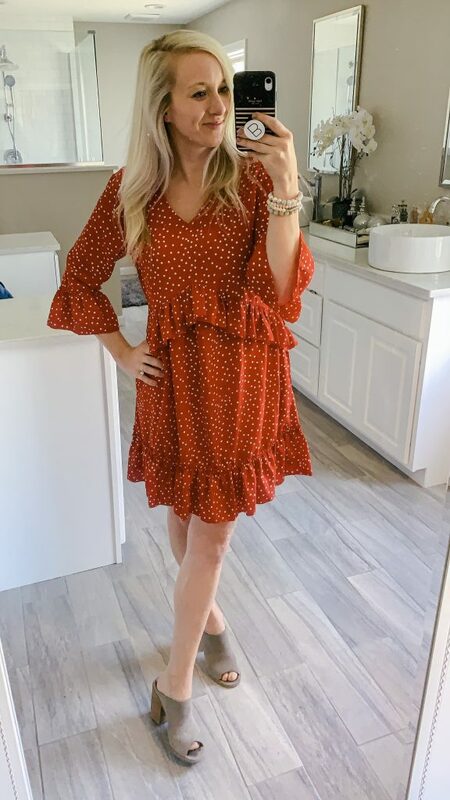 This dress has me begging for a date night or happy hour with the gals! I’m wearing the small and it is perfect. I love that the length is good too. 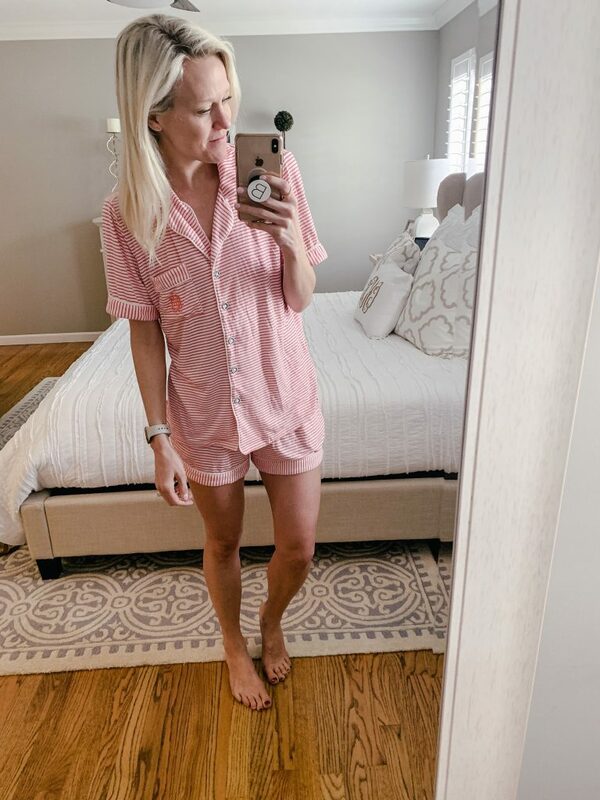 You could easily wear it out mommin’ with cute sneakers! Lace dress perfection. If you tole me that this lace dress was under $40. I would have laughed at you. I easily could have spent $150 on this from Nordstrom. I am wearing the medium but sending it back for a small for a more fitted fit. It also comes in 6 colors so you can find the one you love. BRIDES it comes in white too this would be perfect for a shower or rehearsal. I am wearing a size 6 in this suit. The size fits, but I need it in a tall. Most one-pieces don’t work for me, unless it comes in a tall. L said she’d size up to a 10 for the perfect fit. We love the color and the ruching along the side and stomach provide a more flattering look. Next is this black one-piece. I am wearing a size small and it doesn’t work because I need it in a tall. 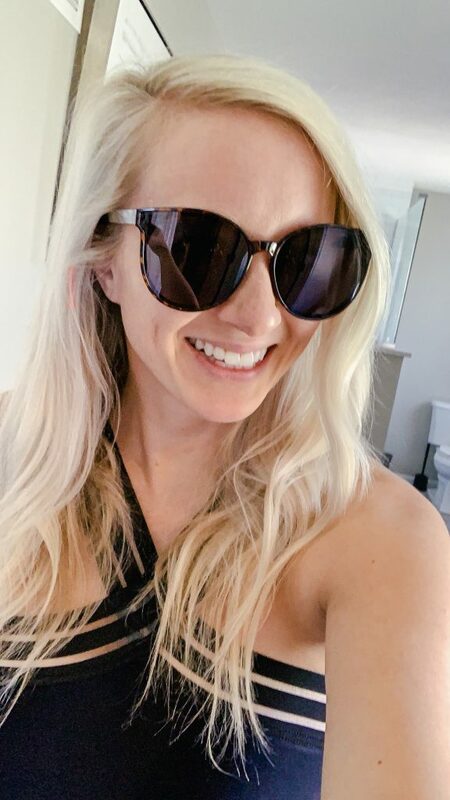 L is wearing a medium and its a WINNER – like get to the pool winner! We love the mesh detail and it provides plenty of support and the fabric is great quality. 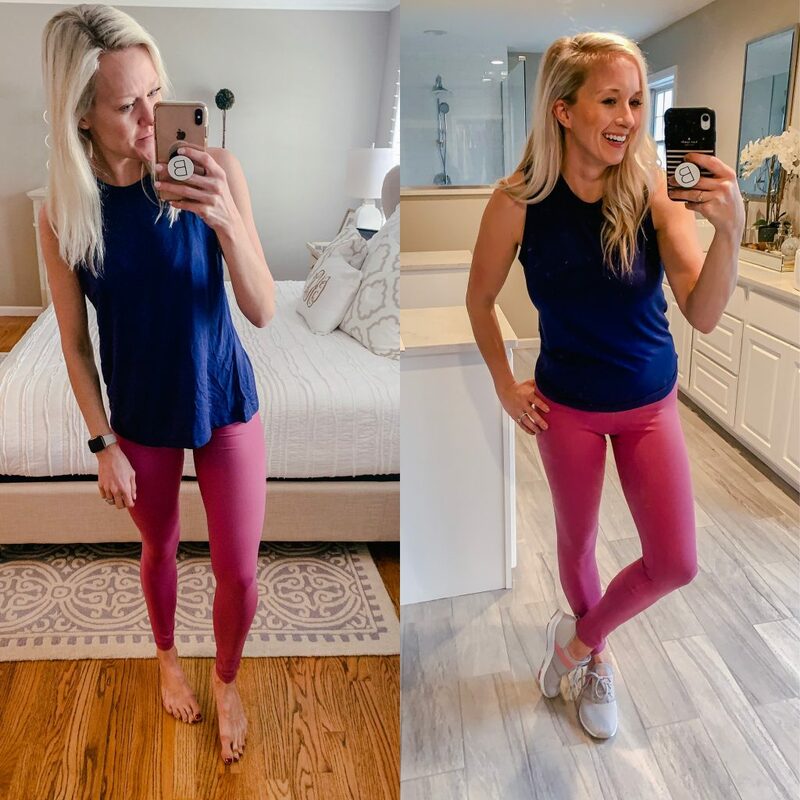 I’ve seen this pretty on a few bloggers so was extra pumped to test the size and quality… results were its a keeper. I’m wearing the medium and it is the perfect fit! This two piece wasn’t a win for me, but worked perfect for L. She’s wearing a size medium. The top has amazing support and straps are adjustable. If you’re looking for a two-piece with lots of coverage this is for you! This pom pom suit is HANDS DOWN MY FAV! I love the high-waist and details. I am wearing a size 6- I’d would prob size down to a 4 for a tighter fit. We’ve always been a sucker for kimonos! They are so many versatile ways to wear one. You can wear the same kimono from the beach to dinner. 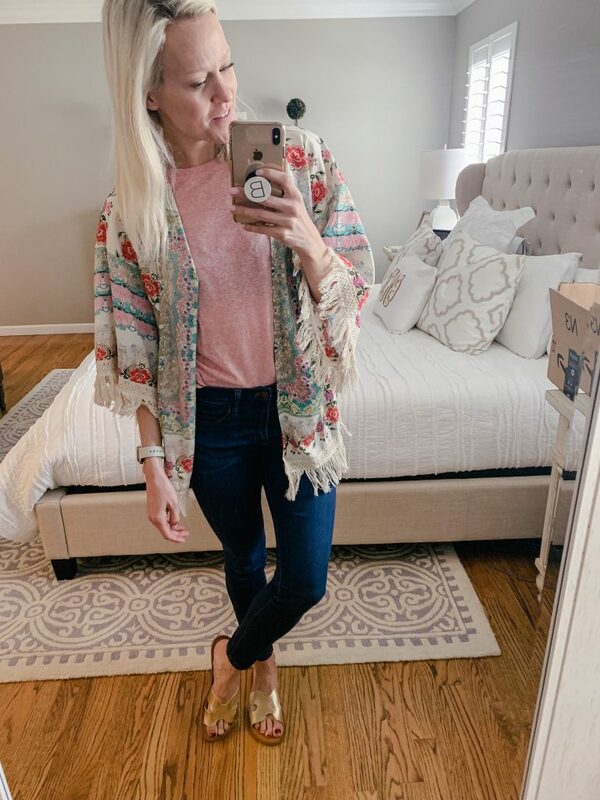 I loved buying kimonos while I was pregnant too because I could continue to wear them even post pregnancy! This palm print one has always been a fan favorite and we agree. Its perfect for adding a pop of color to your summer wardrobe! This one is super girly with the florals and fringe! Such a winner for under $20. Next up are these jams. Last month L shared the long sleeve version and now that spring/summer is approaching they’ve made them in short-sleeve. 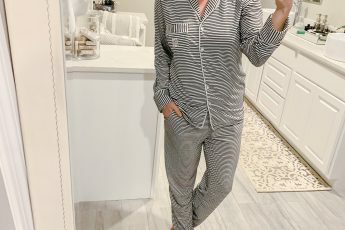 These are a complete dupe of the Nordstrom moonlight pajamas but a fraction of the cost. We both own a pair and are still obsessed. They wash well and are so comfortable. They also come in a long sleeve and pant version that I have too. 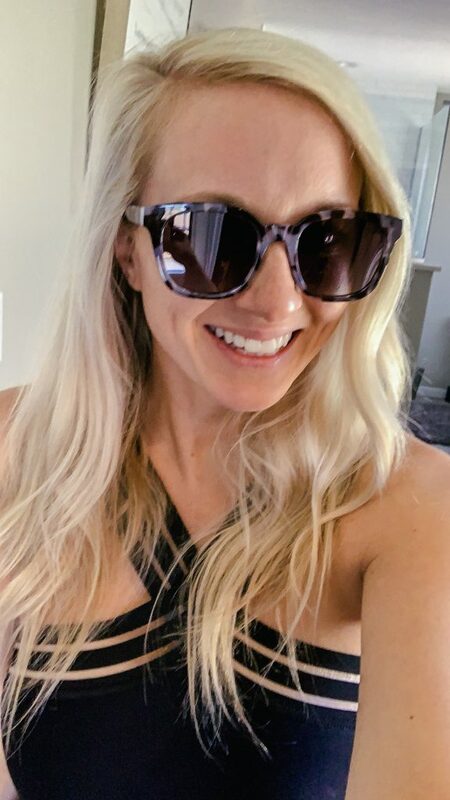 I have always been a sucker for tortoise sunglasses and the bigger frames are so in style right now- I had to snag thesse. Another immediate favorite as soon as I put them on! 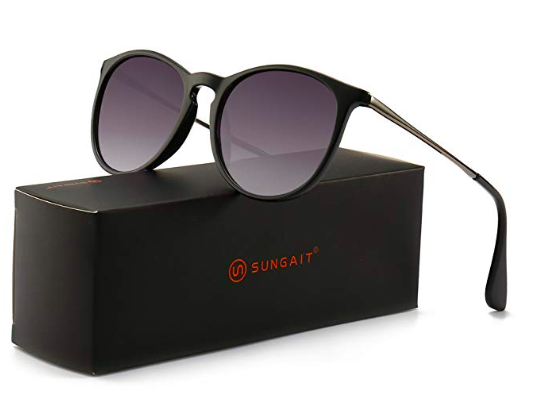 I am all for a fancy (pricey) pair of sunnies until I became a mom…. things just have a tendency to break or get lost so we are all about the dupes! If you follow us on Instagram, I posted about sleep lines. 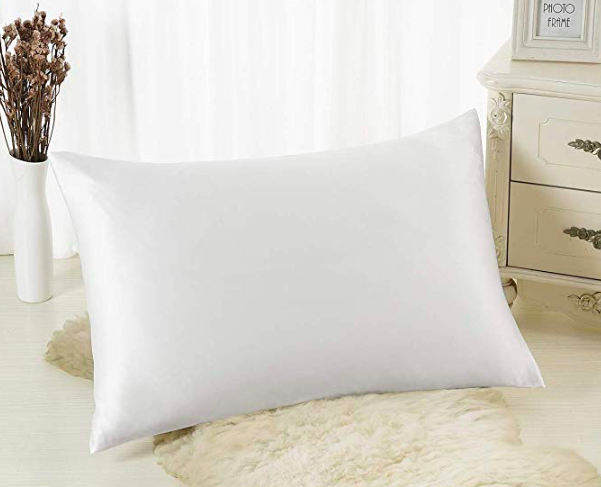 Everyone recommended this silk pillow case! I have to say, I bought it and it’s working thus far. It’s also suppose to help with hair grease (haha) and breakage. For someone like these mamas that may wash their hair 2-3 times a week and live off dry shampoo, WE’RE ALL IN! What would you like to see for May’s AMAZON HAUL!? Also don’t forget to tag us when you buy 🙂 Happy shopping ladies. 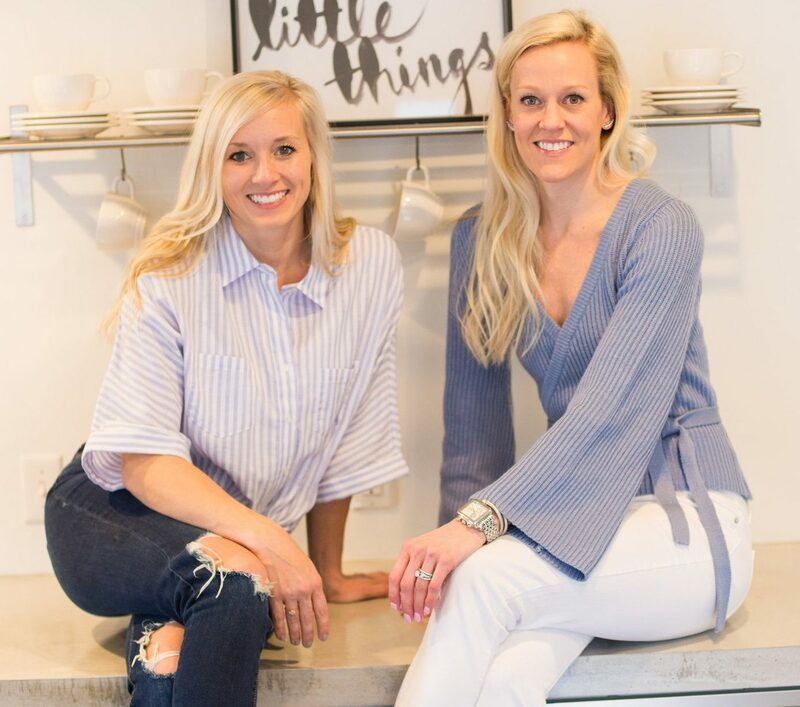 Such great finds, girls! Thanks for doing a swimsuit try on – I’m still having the hardest time finding one that will hide my c-section pouch 🙁 I think I’ll just have to drag my booty to Target and try on half the swim section… pray for me!